Looking for a quick getaway before the kids head back to school? We have picked out some of our favorite places to visit. 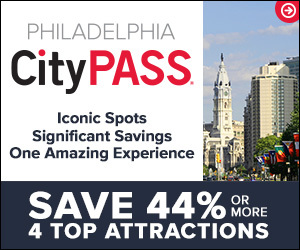 All of our picks are driveable and no more than a few hours from the Philadelphia suburbs. 1. Double Tree Resort in Lancaster PA. There is so much to do at this family-friendly resort. This 185-room resort is very family friendly, but it's also perfect for a weekend getaway without the kids. The hotel is about a 10-15 minute drive to the Strasburg Rail Road, Choo Choo Barn, Cherry Crest Adventure Farm and other Lancaster attractions. 2. Kalahari Resort in the Pocono Mountains. 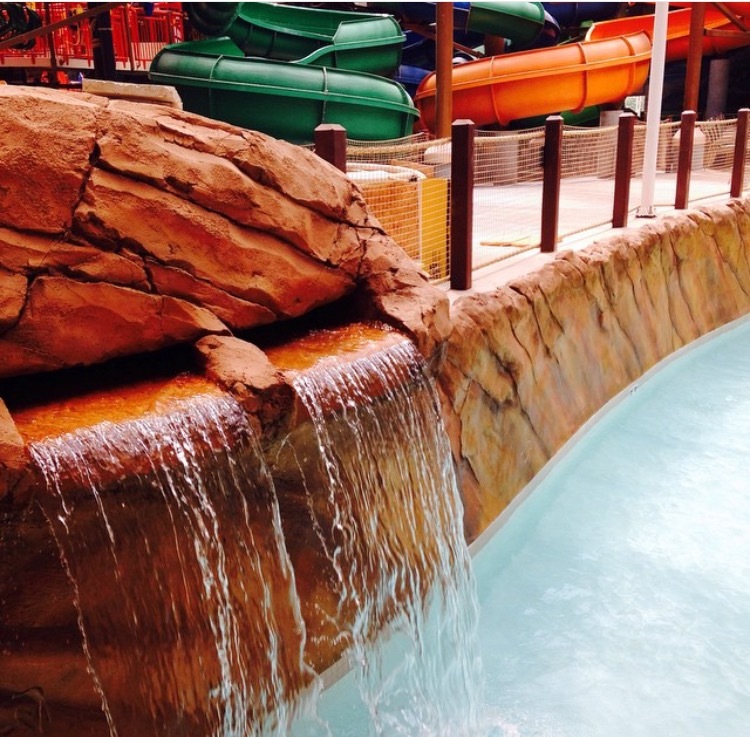 If you are looking for a water park adventure then Kalahari will keep everyone happy and entertained. Kalahari is just under two hours away from the Philadelphia area. Kalahari is truly a family oriented place and they have thought of everything to keep all members of the family happy and occupied while on vacation. The National Harbor area is located on the banks of the Potomac River and it has plenty of activities to keep the family busy, take a breathtaking ride on the Capital Wheel or a spin on the Carousel. Explore the area with Water Taxis or a Sight Seeing Cruises. If you want to stay check out the Hyatt Regency Baltimore Maryland that is in walking distance to all the attractions. The Williamsburg area has plenty of activities to keep your family busy. 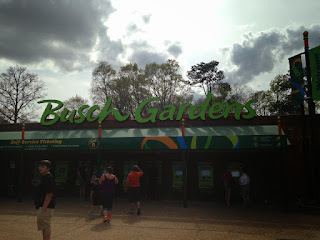 Head to Busch Gardens for some family thrills. Take a step back in time at Colonial Williamsburg, Historic Jamestown or Jamestown Settlement. Grand Cascades Lodge is a beautiful and well-appointed AAA 4-Diamond hotel located in Hamburg, New Jersey. The main attraction for families at the hotel is the Biosphere, which is an indoor pool complex with an aquarium, vortex pools, and caves, and lush tropical foliage; year-round outdoor heated pool; 140-foot waterslide. There are plenty of outdoor activities to keep the family busy. I'm sure your family is just as busy as my family as the school year draws to an end and spring sports and activities have everyone running different directions every night of the week. The one thing we try to do a few nights a week is to eat a meal as a family, but with busy schedules, we don't always have the time to cook a meal from scratch. So I am always looking for restaurants that are quick but good for a quick bite to eat before we head off to the next event. MOD pizza fits the bill with their fresh ingredients and quick service. They also fit the bill with picky eaters because you can customize your pizza. 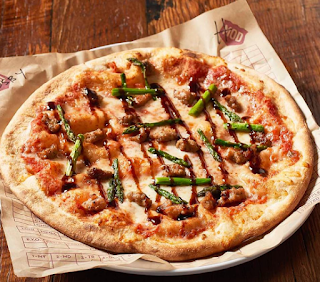 MOD Pizza is a chain of fast-casual pizza restaurants based in the United States. Founded in Seattle, Washington in 2008, MOD currently has more than 200 locations in the United States and the United Kingdom. So you're wondering what types of food they serve at MOD, they sell individual artisan style pizzas and salads. 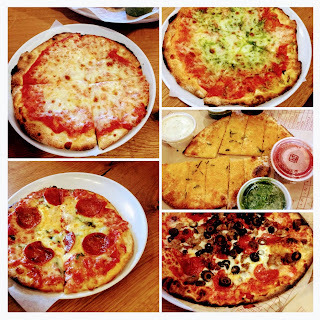 There are 3 choices of sizes to choose from and over 30 toppings to customize your pizza and it just one price no matter how many toppings you add. You can pick your own fresh toppings or they have different types of pizza listed on the menu if you are not in the creative mood. This spring they have a new pizza available called the Crosby. The Crosby combines springtime favorite, asparagus, with MOD’s house-made red sauce, mild sausage and shredded mozzarella, finished with a swirl of fig balsamic glaze and sprinkle of sea salt. The Crosby will be available through July 10, 2017. MOD Pizza has something for everyone in your family, with their variety of choices, friendly service, and delicious food. When you get a chance stop into MOD Pizza in Glen Mills or Newtown Square. Disclosure: Thanks to MOD Pizza for arranging for our complimentary meal to facilitate this review. As always all thoughts and opinions are our own. A few weeks ago my family and I attended a convention in Washington DC. I was trying to keep the cost down since I was paying for both of my children to attend the convention, I spent a lot of time researching a money saving way and I wanted to share what I discovered with my readers. Many families from our area take trips into Washington to see the sites. 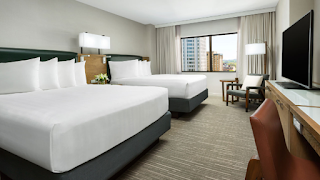 Many of the hotels in D.C. have high parking costs $30-$50 a night. If you drive into to Washington there is free parking in the mall area but it's hard to find unless you're there very early in the morning. If you find a parking garage you can pay $25 or more a day to park your car. After some research, I found out that if I stayed in the town of Bethesda and took the red line metro into D.C., we would be in walking distance to the convention hotel. I never knew how easy and convenient it was. We found the Hyatt Regency Bethesda, which is right by the entrance of the Metro. Which turned out to be perfect because it was raining on Saturday. 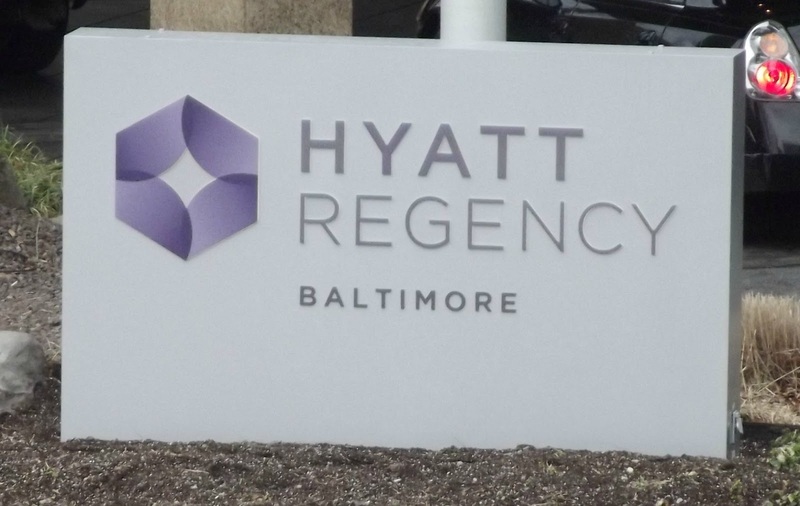 The Hyatt was just renovated and was gorgeous and perfect for our family. I loved the modern finishes in the room. The kids loved the mirror showed the time. The staff at the Hyatt were so helpful with helping us find restaurants, offering umbrellas to use when it was pouring rain and giving us tips on riding the metro. The town of Bethesda is a great town for families everything was a no more than a 10-minute walk from our hotel. Plenty of restaurants to choose from and many different price points. For instance, they had budget friendly choices like &pizza, Noddles & Company to a romantic date night Morton's Steak House. If you want a special treat after dinner or lunch Georgetown Cupcake is there and also a frozen yogurt store. We loved window shopping after dinner at all of the boutiques. Since we arrived after dinner on Friday night we decided to check out the metro before we needed to board it on Saturday morning. 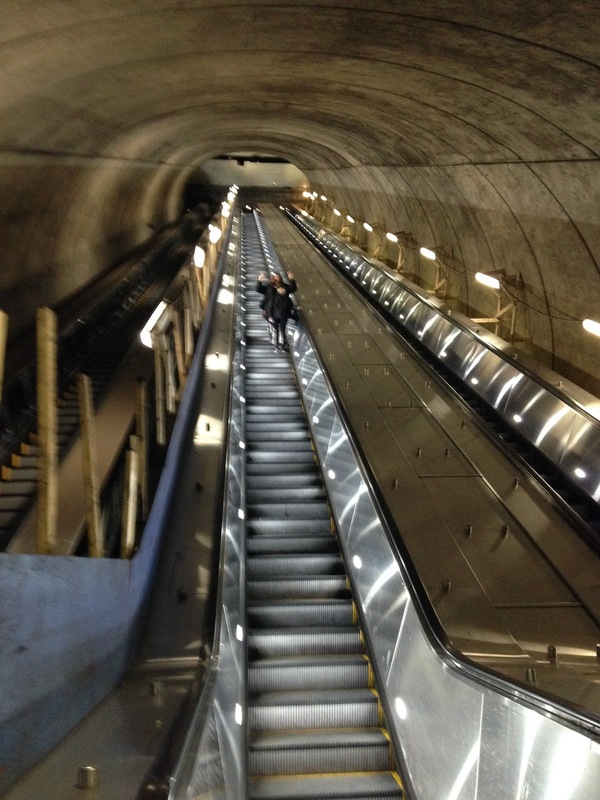 I do have to warn you there is a very steep and long escalator that you need to take to get to the Metro. You can purchase passes right at the station you load the SmarTrip card with money and you can use the card over and over just reload it with more money. I found the Metro station clean and the metro cars were clean. Coming from Bethesda and going into DC you pass many stops, for instance, the zoo, Smithsonian, Dupont Circle, and so much more that are perfect for sightseeing in the area. The D.C. Metro website has tools for you to plan your trip using the Metro. Overall, we found staying in Bethesda and taking the Metro a fun experience and would do it again. 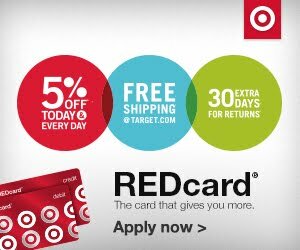 My husband and I couldn't get over how easy it was and how much money we saved on parking and the stress of driving in the DC area. So the kids are making you crazy today asking you when Santa will arrive? So why not have them track Santa. 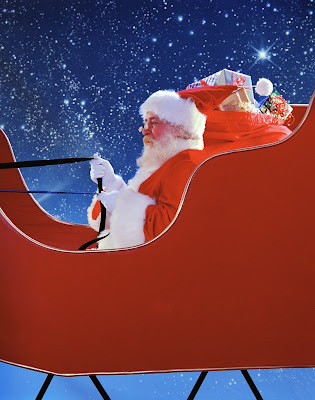 The Norad Santa Tracker keeps children updated about Santa's whereabouts. Based on his current location, they know whether they should head to bed before he arrives. The website offers a Christmas countdown, games, activities, 2D and 3D training maps, Santa Camera videos and more. The Google Santa Tracker takes you to Santa’s Village, which is filled with ways to follow Santa. Head to Google Santa Tracker to find a countdown clock to Christmas Eve and 24 different activities to pass the time before Santa arrives.